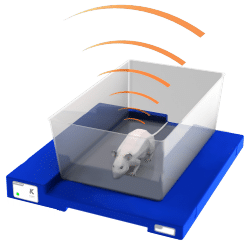 The Kaha Sciences Rat Telemetry System sets the new standard in implantable, wireless telemetry to measure high-fidelity, physiological signals from rats >175g. The system allows measurement of true high-fidelity signals such as ventricular and arterial pressures, sympathetic nerve activity (SNA), biopotentials (e.g. ECG, EMG & EEG) and tissue oxygen. The rat telemetry system enables researchers to collect high quality data in cardiovascular, safety pharmacology and toxicology studies. Data can be recorded for long periods of time and under conditions free from anesthesia or restraint. Additional benefits include reduced animal handling induced stress and reduced lab maintenance.  The Cohousing feature allows two telemeter implanted rats to be housed in a single cage or one larger rat (>350g) to be implanted with two telemeters, increasing the number of signals that can be recorded. The complete system includes the Telemeter, SmartPad and Configurator and integrates with any data acquisition system with analog inputs. Digital data transmission, wireless inductive power supply and battery backup enable 24/7 digital data collection from telemeters implanted in freely moving, conscious animals living in their home cages.